Whether you're new to vaping or a seasoned enthusiast who prefers to keep things simple, the SMOK Stick M17 1300mAh AIO Starter Kit is an excellent choice of vaporizer for you. This pen-style vape offers powerful performance in a simple, compact package and comes ready for use complete with two coils, a USB cable and spare parts. The SMOK Stick M17 1300mAh AIO Vape Pen redefines the meaning of compact. Its ultra slim design allows the vape to fit perfectly in the pocket of your jeans, coat or bag, so you can carry it anywhere and enjoy vaping any time. Although the SMOK Stick M17 1300mAh AIO Vape Pen is a fraction of the size of those of competitors, it doesn't require you to compromise performance. With its 2-milliliter capacity and powerful 1300 mAh battery, the vape pen allows for long sessions with rich, satisfying vapor. You can easily monitor the battery life with the help of the LED color indicators, so you'll always know when it's time to plug in your vape for a recharge. 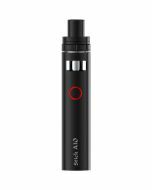 The SMOK Stick M17 1300mAh AIO Vape Pen makes vaping an easy, enjoyable task. There is only one button included in the design, and it is conveniently located on the front for quick access. You never have to worry about setting voltage or resistance levels to create satisfying clouds of vapor with the Stick M17. Featuring a delrin drip tip, the SMOK Stick M17 1300mAh AIO Vape Pen provides all the airflow you need for deep draws. Filling the vaporizer pen is easy with the top-fill slot, and its leak-free design helps to prevent messes when you're on the go. The SMOK Stick M17 1300mAh AIO Vape Pen lets you vape confidently with every session. To prevent problems that can shorten the lifespan of your vaporizer and pose safety risks, the pen is equipped with low voltage and short circuit protections. After drawing for 10 seconds, the vape pen cuts off, decreasing the likelihood of overheating. Make vaping a simple, yet satisfying experience with the pen that is powerful, yet compact. 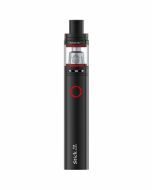 Order the SMOK Stick M17 1300mAh AIO Vape Pen today.